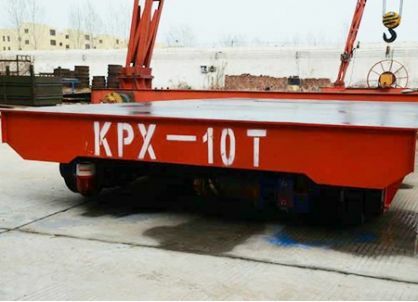 KPJ Wire Rope Transfer Cart is a type of transfer trolley supplied by wire rope. 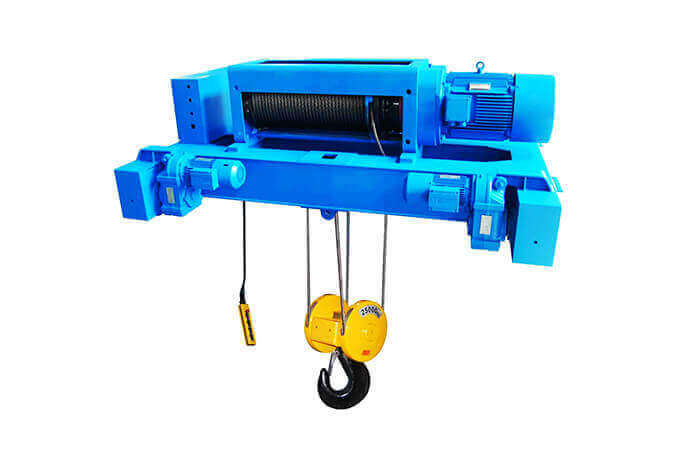 The power is supplied by electric cable on the wire rope device on the transfer trolley through AC 380V cable. 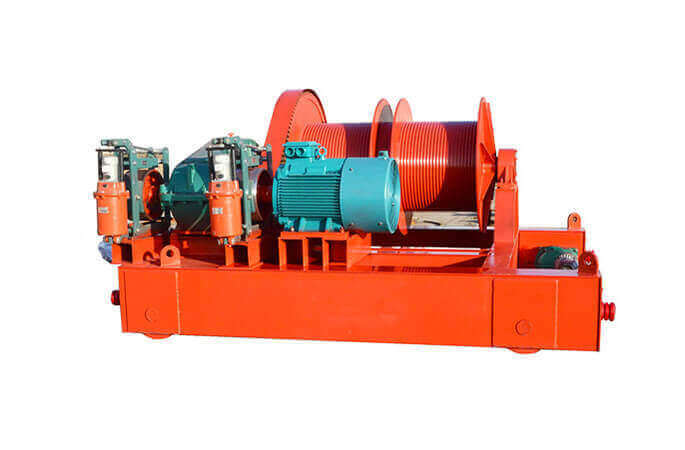 The cable device is on the below of transfer trolley, which could control transfer trolley to stop, start, forward, and backward directly from AC electric control system. 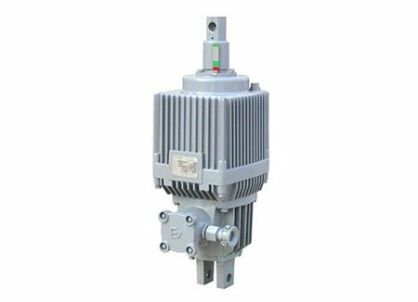 The control system is controlled by low voltage 36V, and could add hydraulic lifting system on the transfer trolley which could be widely used in severe environment, high-temperature environment, and explosion-proof environment. 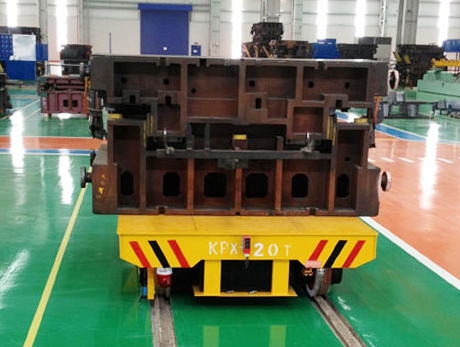 With simple structure and low cost, this series is a common transfer trolley to cross on the rail in workshop. 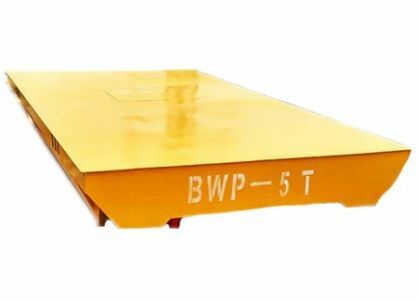 Compared with KPX transfer trolley, this series is not affected with the restriction of time; Compared with KPD transfer trolley, this series has low requirements on rail laying, which is suitable for loaded arbitrarily and high operation frequency site. 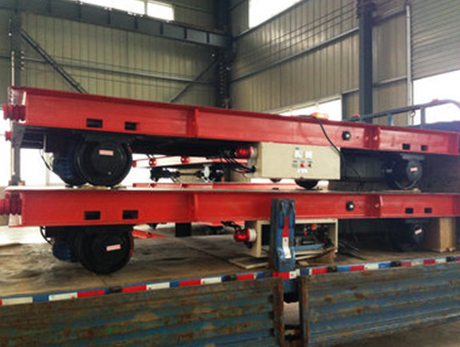 If the travelling distance exceeds 50m, a traverse unit should be added for wrapping. 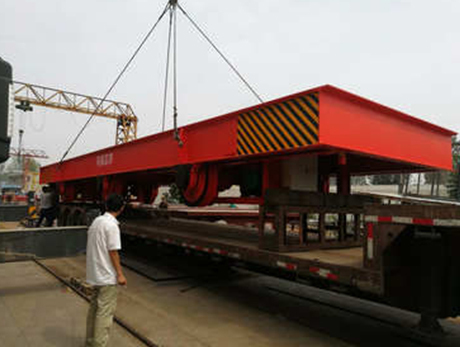 The maximum travelling distance is 200m. 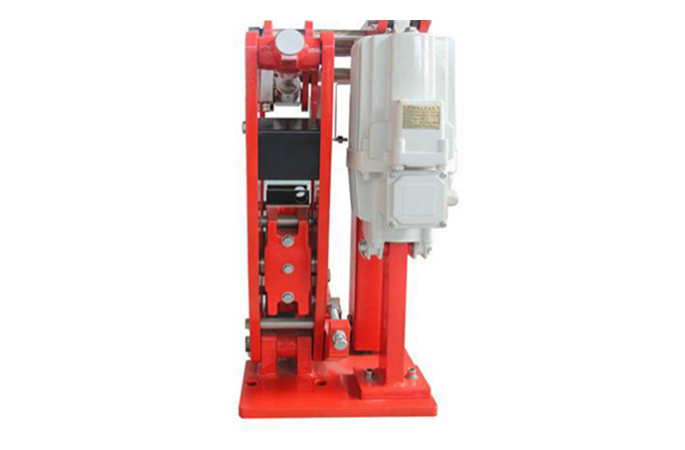 The transfer machine is suitable for various industries, steel mill, transfer steel products such as steel structure, steel pipe, steel billets, steel ladle and coil, etc . 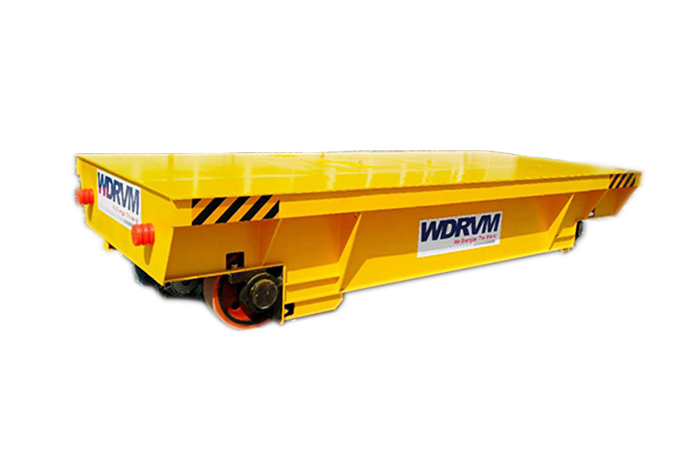 For horizontal load transfers of a wide range of material, we could provide heavy duty, high quality Transfer Cart completely meet your need. 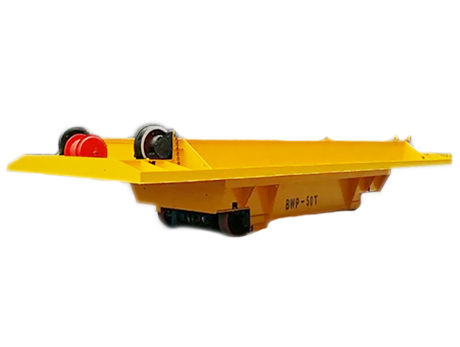 Transfer carts are used to carry loads along assembly lines; transfer material from one work station to the next; store and transport an entire shift worth of production. 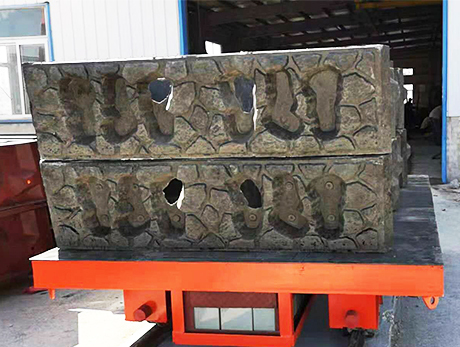 They can even be used as a stable yet moveable machine base. 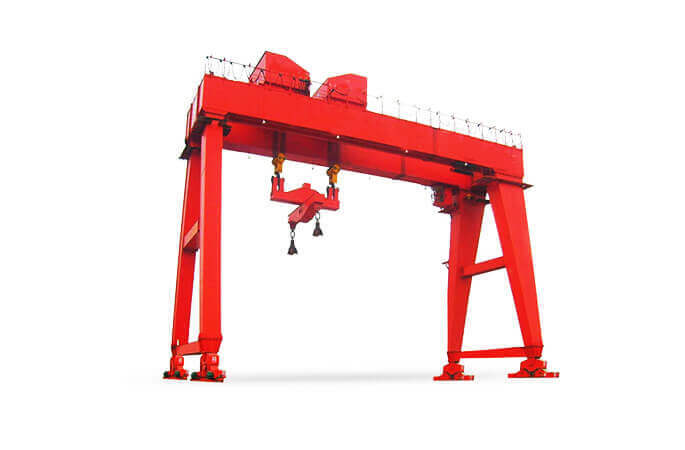 It's necessary equipment for lifting goods, raising labor efficiency, improving working conditions. 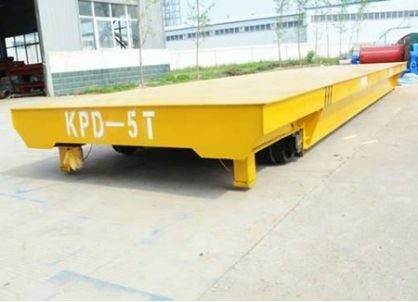 KPD transfer cart is a rail low-voltage tranfer trolley without towing cable.